On your bill date we will send an email through to you which will contain your account overview. Shown below is what your bill will look like. 1. Account Overview contains information relating to your bill date and the amount due. 2. This section will provide you with information relating to the particulars of your invoice. Flip does bill one month in advance for its services and the 'Carried over balance from last month' refers to the purchases or toll calls made during the billing cycle ending on your new bill date. 3. You can view a full detailed breakdown of your invoice by clicking the 'Full detail of your bill' option at the bottom of the page. 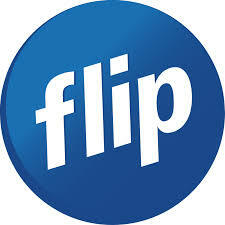 Flip provides an excel spreadsheet which contains a complete breakdown of your invoice. 1. The first section contains the price of your broadband plan and you can see the date range that you are paying for directly above it. 2. The 'Carried over Balance (from last month)' contains the purchases/charges that have arisen during your previous billing cycle. For the example below, we can see that $5.53 of additional charges occurred on the last months billing period. Note: On your bill date you are charged for your plan one month in advance although the purchases/toll calls that occurred in the previous billing period appear here as well. 3. The tab at the bottom of the page allows you to view other particulars of your invoice. For the example shown above, we can click the 'What happened last month' tab to view what the charges of $5.53 relate to. This tab also shows the total charges from Flip and total payments to Flip during your previous billing period. Shown below, we can see that the charges of $5.53 relate to per minute calling and you can view these calls by clicking the 'Calling Activity' tab. The 'Calling Activity' tab will detail all calls completed in the dates specified. Calls are recorded in hours and minutes. There is a one minute minimum charge for all calls. Calls are rounded up and charged per minute. You can view our per minute calling rates here and our available calling packs here.